We’re Hiring! Exciting opportunity to join the BlueSky team. Looking for experienced quantitative analyst to support firm’s approach to integrate sector-specific, financially material ESG factors into our fundamental value investing framework. 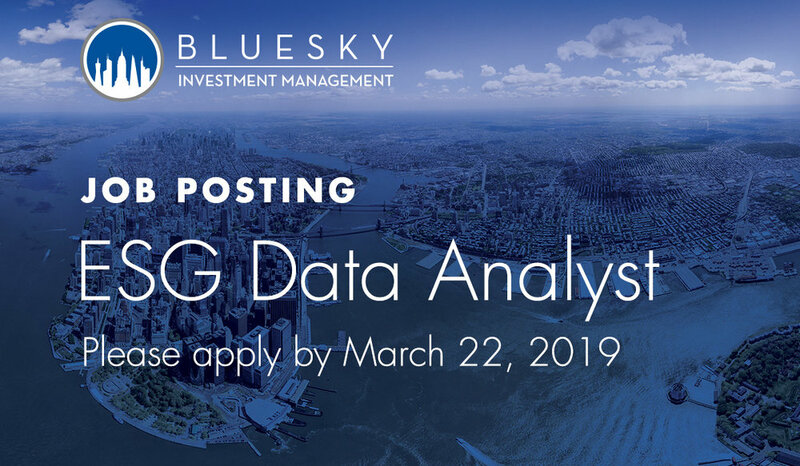 BlueSky Investment Management is seeking a quantitative, detail-oriented individual who is enthusiastic about working with environmental, social and governance (ESG) data and directly overseeing trading for our International Equity portfolio. Exciting opportunity to join a talented team at a boutique firm well-positioned for growth, with a unique philosophy based on the disciplines of value, quality, and ESG. The position entails a variety of research and operational responsibilities that ultimately support the firm’s approach to integrate sector-specific, financially material ESG factors into a fundamental value investing framework. The ideal candidate is hard-working, disciplined, organized, naturally curious and interested in learning, collaborative in a team environment, dedicated and driven, with exceptional communication and presentation skills. BlueSky is a long-only, fundamental, bottom-up equity manager, founded on the concept that integrating value investing with environmental, social and governance (ESG) analysis can enhance long-term performance and better manage risk. Please send resume to info@blueskyinvm.com. We are proud to have been a contributing author to the recently released book, "Sustainable Investing"
We are proud to have been a contributing author to the recently released book, Sustainable Investing. 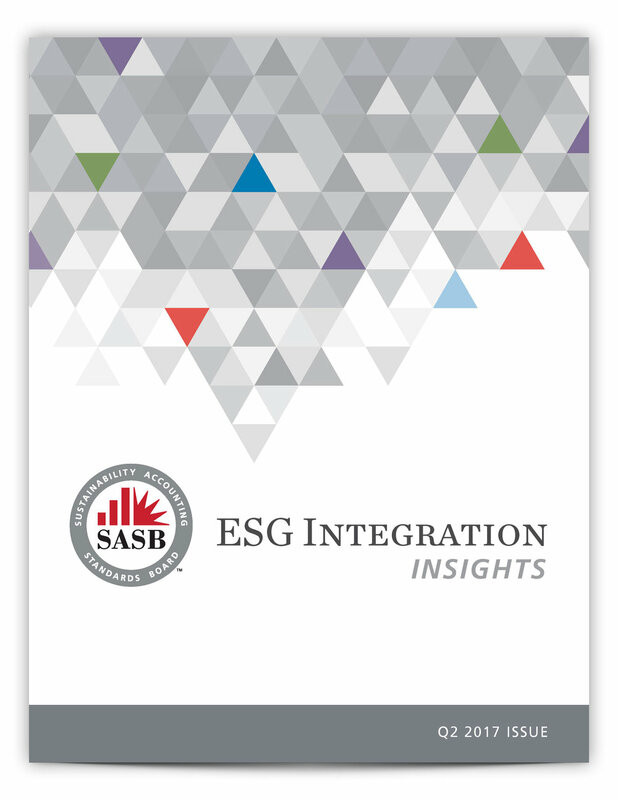 What happens when experienced value managers join forces with experts in ESG/sustainability? Portfolio managers Ron Dornau and Chris Matyszewski met with the founding team of BlueSky Investment Management after reading a compelling description of the firm’s vision to combine value investing with environmental, social and governance (ESG) analysis. They were trained in value investing by Charles Brandes, who studied the value discipline under the tutelage of Benjamin Graham himself. Ron and Chris had always evaluated management quality and assessed management’s ability to add value, though they never formally incorporated ESG into their process. After delving into BlueSky’s proof of concept, including the results of over eighteen months of proprietary ESG research as well as key academic studies on ESG, what they found was eye-opening. They were more than persuaded – and they joined as partners. BlueSky was founded on the simple concept that integrating value investing with ESG analysis can enhance performance and better manage risk. 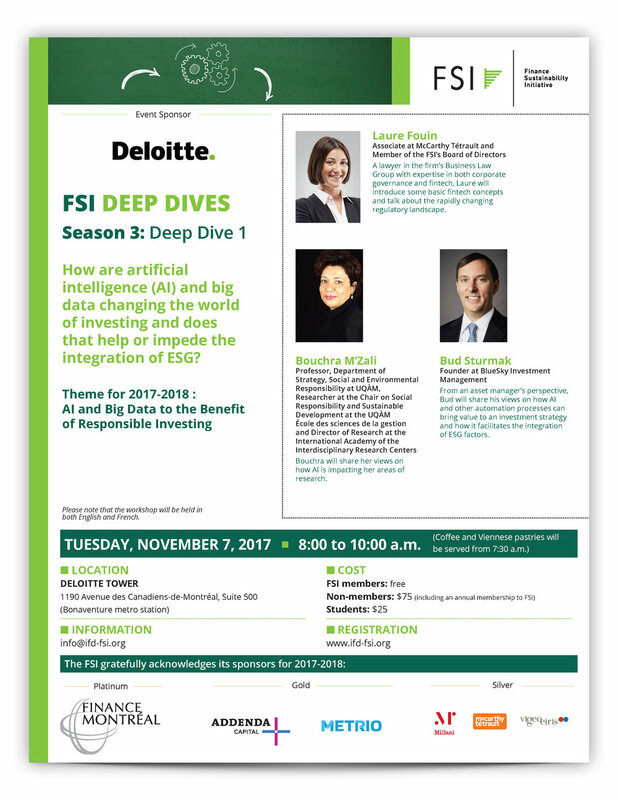 In short, this approach employs a wider lens that examines companies across a more complete set of material information in order to drive better investment decisions. Value investors seek a margin of safety by purchasing quality companies at attractive prices which protects their downside risk. 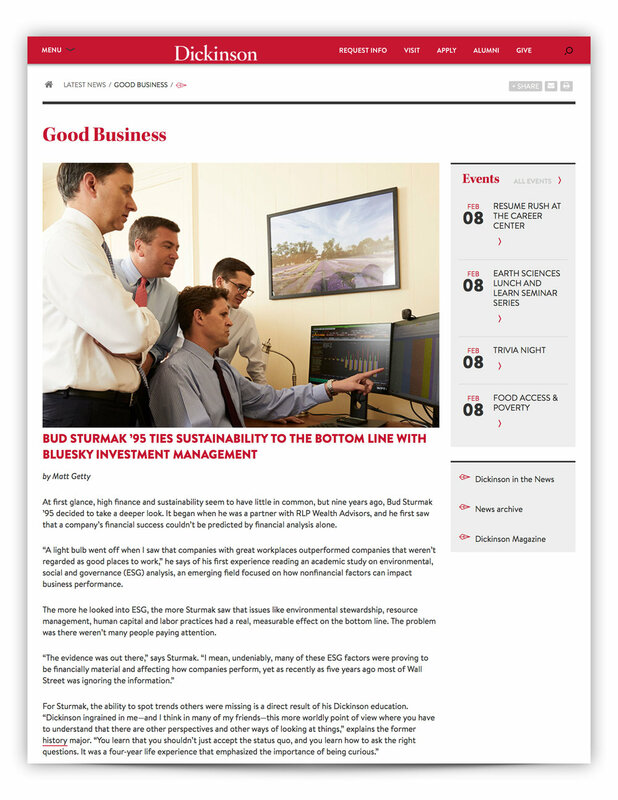 BlueSky believes that ESG naturally fits with the value style of investing as it reinforces the margin of safety. From a risk management perspective, ESG helps portfolio managers avoid companies with excessive risks caused by poor ESG performance. However, ESG can also be used to assess business quality and identify companies that are creating value. While traditional financial metrics like free cash flow and return on invested capital (ROIC) can speak to business quality, ESG analysis can provide a broader measure of corporate quality that reveals how a company treats its employees, suppliers, customers, and the environment – factors which have been proven to be financially material. Hundreds of independent studies show that companies performing well on ESG measures also produce superior financial returns, exhibit a lower cost of capital, higher profitability and stronger share performance. Additionally, BlueSky’s proprietary research confirmed a strong correlation between corporate ESG performance and companies producing high ROIC. BlueSky has evolved traditional value investing through the careful integration of ESG, allowing a more complete and accurate assessment of risk and competitive positioning in today’s modern business landscape.